Trends in reporting of wildlife strikes with civil aircraft and in identification of species struck under a primarily voluntary reporting system, 1990-2013. Special Report to the FAA, May 2015. Sarah is an FAA Qualified Airport Wildlife Biologist with over 15 years of environmental planning, permitting, compliance and assessment experience. She has conducted wildlife hazard services throughout the country and internationally. Sarah has a B.A. in Biology and a Master’s Degree in Public Administration in Environmental Policy. She was previously the senior manager for Lee County Port Authority where she oversaw planning and environmental compliance for Southwest Florida International and Page Field General Aviation airports. She has worked for the Florida Department of Environmental Protection, Lee County Parks and Recreation Land Stewardship, and as a Watershed Specialist. Sarah is a National Rifle Association Certified Firearms Safety Instructor. 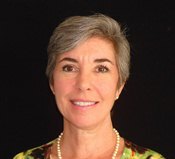 Currently, she is the Co-Chair of the Airport Council International North America Natural Resources Committee and was previously the Chair of the Florida Airport Council’s Environmental Committee. 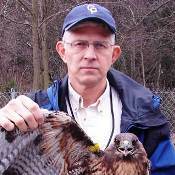 John assumed the role of National Wildlife Biologist for the FAA in 2009. His responsibilities include the development and oversight of national strategies, regulations and guidance regarding wildlife hazards on and within the vicinity of airports which affect aircraft safety or impact airport development and land use. He provides oversight to the National Wildlife Strike Database, cooperative partnerships, outreach, and research targeting hazardous wildlife and mitigation techniques. Prior experience includes 28 years of wildlife conservation and conflict management, endangered species restoration and research for the U.S. Fish and Wildlife Service, the National Park Service and the USDA/ APHIS/ Wildlife Services, as well as state and county conservation agencies, and a nonprofit research center. John has a BS in Forestry from Southern Illinois University at Carbondale and an MS of Environmental Biology from the University of Southern Mississippi studying predator/ prey relationships. Michael J. Begier (Bee jur) is a wildlife biologist and the National Coordinator of the Airport Wildlife Hazards Program in Washington D.C. He works for the Animal and Plant Health Inspection Service, Wildlife Services Program, United States Department of Agriculture. Mike provides liaison to the Federal Aviation Administration, Department of Defense (DoD), the Air National Guard (ANG), the National Association of State Aviation Officials (NASAO) and the aviation industry at large. A key role is to provide support to the Wildlife Services program that mitigates wildlife hazards to aviation. His office manages the FAA National Wildlife Strike Database and works closely with the FAA and the USDA WS National Wildlife Research Center on guiding applied research activities designed to mitigate wildlife hazards at airports. Additionally, he serves as the program liaison to the DoD Partners in Flight BASH working group and the DoD Armed Forces Pest Management Board. Mike earned his college education from the State University of New York at Cobleskill and Plattsburgh, his Masters of Science degree at the College of Environmental Science and Forestry at Syracuse. Craig Quick is a Commercial Flight Safety Lead Engineer in the Chief Engineers Office at GE Aviation. He is an accident/incident investigator with responsibility for investigating bird ingestion events and maintains the bird ingestion data base for all GE Aviation engines. Craig also has responsibility for safety certification of new products. He is a member of several industry committees related to furthering aviation safety through bird ingestion awareness and rule making. Craig joined GE Aviation in 2012 and worked in New Product Development gaining expertise in Electrical Systems, Full Authority Digital Electronic Control (FADEC), and sensors design prior to joining the Commercial Flight Safety group. He has 14 years of experience in the Automotive, Medical, and Aviation industries. Craig holds a Bachelor of Science degree in Electrical Engineering from Purdue University. Kim Owen (MSEE, BSEE University of Washington, MSTM Embry-Riddle Aeronautical University) is an Airplane Safety Engineer with The Boeing Company where she works in the Airplane Safety Airplane Development group. Her responsibilities include airplane level safety requirements, systems separation requirements, and safety assessment for airplane threats, including bird strike, windmilling, and others. In her previous position as a Maintenance Programs Engineer, Kim performed analysis on new airplane designs to ensure protection from Lightning/HIRF events. Tahereh works for Southwest Airlines in Dallas as an Air Operations Investigator in the Safety & Security department. The Air Operations Investigations group’s focus is NTSB reportable events as well as to investigate and identify safety hazards facing Pilots, Flight Attendants, and Dispatchers. As part of this responsibly, the department tracks bird strikes on a monthly basis and investigates bird strike events, depending on the severity. 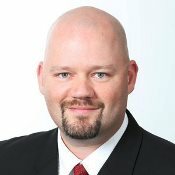 Troy Levanen is Manager, Maintenance Safety for Alaska Air Group. He has been in aviation for over 30 years, including 29 years with AAG - which includes Alaska, Horizon, and Virgin. He was a Maintenance Technician as well as working in maintenance leadership for 20 of those years before joining the AAG Safety Team in 2013. During his time in Maintenance, he was the Supervisor of the Horizon Air Maintenance AOG (Aircraft On Ground) Team, so he was actively involved in many serious Wildlife Strike Events, including bird strikes so extensive that the repairs took longer than a month to perform. Troy is a certified Aircraft Accident Investigator that is also a member of ISASI. He currently performs investigations and makes recommendations on incidents, accidents, and wildlife strikes for Alaska Air Group. Nick began working for the Port of Portland dealing with Aviation Wildlife in 1998 and then moved onto the Natural Resources Department in 1999. There he worked as a Natural Resources Specialist which required being a Wildlife Biologist & Wetland Scientist. Nick’s current responsibilities at PDX include managing a full-time proactive/science based aviation wildlife management program, conducting research into new wildlife deterrents, and making habitat modification recommendations while focusing on environmental policy/regulations. He is a certified Wetland Scientist & Aviation Wildlife Biologist with degrees in Natural Resources and Organismal Biology. Native of Dayton Ohio, and graduate of the University of Cincinnati, (B.S. Biological Chemistry), Johnny was employed with the Ohio Department of Environmental Protection in the division of Water Quality Monitoring and Assessment, before assuming a position with the Ohio Department of Natural Resources, Division of Marine Patrol as a sworn law enforcement officer. He moved to Florida to take a position with the Florida Game and Freshwater Fish Commission as the project leader for the Central Florida Urban Fisheries Project. In this capacity he became acquainted with Orlando International Airport and the issues of airport / wildlife conflicts. Johnny joined the Greater Orlando Aviation Authority in 2000 as their Wildlife Biologist and has been on a perpetual learning curve ever since. Jeffrey works for the Massachusetts Port Authority (Massport) at Logan International Airport as a Field Maintenance Supervisor and Wildlife Management Coordinator. He is well versed in airport wildlife mitigation, habitat modification, permitting, personnel training, and raptor trap and relocation techniques. Jeffrey received a bachelor’s degree in Wildlife Biology with a minor in Applied Design from the University of Vermont in 2008. He is a Certified Airport Wildlife Biologist who previously worked for the Vermont Fish and Wildlife and USDA APHIS Wildlife Services in Vermont, North Carolina, and Massachusetts most recently as a wildlife biologist providing assistance with airport wildlife hazard management. Dan is the Bird/wildlife Aircraft Strike Hazard (BASH) Team Chief for the U.S. Air Force (AF), stationed at the Air Force Safety Center (AFSEC), Kirtland AFB, Albuquerque, NM. He arrived at the AFSEC in July 2007. Prior to his current assignment, he worked for USDA-WS in the New York Office as a wildlife technician from 2001-2003, then as the airport biologist from 2003-2007. He conducted his studies at the University of Idaho in wildlife resources, and is a veteran of the United States Navy. Dan was raised in upstate NY and graduated from Hudson Falls High School. Mr. David Wright is the Associate Director, Safety Directorate, Air National Guard, National Guard Bureau. He works with the director formulating and coordinating safety program goals, plans and policies supporting 90 Air National Guard Wings and over 105,000 members in more than 1,800 units across 213 locations throughout the U.S., the District of Columbia, Puerto Rico, Guam and the Virgin Islands. Mr. Wright served on active duty in the Air Force from Sept 1987 through April 2016. During this time, he held key operational, staff and command positions at the Squadron, Group, Wing, Major Command, Army Division and Corps, Combatant Command, and Air Staff levels. Mr. Wright worked extensively in Joint/Combined Operations, Joint Air-Ground Integration and Security Cooperation / International Affairs. He has over 2,200 total and 1,000 instructor/flight examiner hours in tactical fighter aircraft. Janny Siddens has served as a Part 139 Airport Certification and Safety Inspector (ACSI) for the FAA in the Southwest Region for almost 8 years. She is responsible for reviewing and approving wildlife hazard assessments (WHA) and wildlife hazard management plans (WHMP) for assigned Part 139 airports in the Southwest Region. She has been in the field of aviation for 20 years, serving in the U.S. Air Force for 12 years in Base Operations where she was in integral part of the service’s BASH Program, monitoring wildlife activity and appropriately adjusting the risk conditions. She has a Bachelor of Arts degree in English from Baldwin-Wallace College. Marcy Heacker is Program Specialist with the Feather Identification Lab at the Smithsonian Institution, National Museum of Natural History in Washington, DC. Her expertise is identifying bird species using whole-feather and microscopic plumulaceous feather structure. The majority of her work is for bird-aircraft collisions (“bird strikes”) for the U.S. military and civil aviation. The Lab also frequently examines feather material in anthropological items, prey remains, and wildlife law enforcement cases. Marcy began her feather identification training in 1997 with Roxie Laybourne (pioneer of this specialized field) and continued in 2000 with Dr. Carla Dove. She received her M.S. and B.S. degrees in Biology from George Mason University, Fairfax, Virginia. She also holds an Associate Degree in Veterinary Technology from Columbus State College, Columbus, Ohio. First Officer Mark Crystal is the Airport and Ground Environment Chairman for the Air Line Pilots Association, International in Washington, DC. He is also the Ramp and Air Traffic Safety lead for the ExpressJet Airlines Master Executive Council Central Air Safety Committee in Houston, TX. First Officer Crystal flies the Embraer 145 and is based in Houston, TX. Prior experience includes working as an Airport Safety Liaison at Houston Intercontinental Airport. First Officer Crystal designated Pilot representative to the FAAs Research, Engineering and Development Advisory Committee (REDAC) subcommittee for Airports. First Officer Crystal is also a volunteer firefighter in a suburb of Houston. Lisa Harmon, is a Senior Aviation and Environmental Planner with 20 years of experience resource management, wildlife hazard management, and land use compatibility planning on and near airports. She has served on the BSC USA Communications Committee since 2015. Dave Moore has more than 20 years’ experience in aviation safety. He is a retired Lieutenant Colonel from the U.S. Air Force Reserve, serving as a C-5 instructor pilot and Chief of Wing Safety for the 439th Airlift Wing, Westover Air Reserve Base (ARB), Massachusetts. During his Air Force career he logged more than 7,500 mishap-free flying hours. As Chief of Wing Safety he managed the Westover ARB Bird/Wildlife Aircraft Hazard (BASH) program for more than seven years, dealing with numerous issues related to the management of the bird/wildlife risk at that airfield. He was recognized by the USDA/APHIS Massachusetts State Wildlife Services Director for his “dedicated efforts to promote interagency collaboration to examine, research and conduct sound wildlife hazard management activities to enhance the safety of aircraft and airport operations at Westover Air Reserve Base.” Since his retirement from the Air Force, Dave has served as a safety advisor to Air Force Reserve Command for eleven years, traveling the country and assisting Air Force Reserve Chiefs of Safety in managing all of their flight safety programs, including BASH. He continues today as a flight safety advisor to the Air National Guard Chiefs of Safety. Russel Odell is currently the Staff Biologist/Airport District Supervisor for the California USDA APHIS Wildlife Services program. He graduated from the University of California-Davis with a Bachelor’s degree in Wildlife, Fish and Conservation Biology in 2006. His airport experience started in 2008 when he was hired as a wildlife specialist with USDA APHIS Wildlife Services program in Fremont, CA. For 10 years he worked as an FAA Certified Airport Biologist at military and joint use facilities. In his current position, Russ works closely with the FAA Los Angeles office, the California Department of Transportation-Aeronautics division, and oversees staff who implement wildlife damage management projects on airports and airbases throughout CA. Travis Guerrant is currently the Assistant State Director for the Illinois USDA APHIS Wildlife Services program. He is a Certified Wildlife Biologist through The Wildlife Society, and graduated from the University of Missouri-Columbia with a Bachelor’s degree in Fisheries and Wildlife in 2001. His airport experience started in 2004 when he was hired as a wildlife specialist with USDA APHIS Wildlife Services program in St. Louis, MO. In his current position, Travis works closely with the FAA Great Lakes office, the Illinois Department of Transportation-Aeronautics division, and oversees staff who implement wildlife damage management projects on airports and airbases throughout IL. Phyllis is the current Secretary of BSC USA. She has worked for the USDA as the Scientific Data Technician for the FAA National Wildlife Strike Database located in Sandusky, OH since November 2007. Her aviation background and history spans many years, having been raised in a fixed wing and helicopter family with an active airstrip on their family farm. Her husband and several members of her family are active pilots. She has firsthand experience with bird strikes, having encountered a Turkey vulture that penetrated the windscreen while ferrying a helicopter to a fire contract. She attained her BS at Mount Saint Mary's College, Emmitsburg, MD. Eugene LeBoeuf is a Wildlife Biologist who retired from the United States Air Force (USAF) and federal service in January of 2011. For sixteen years prior to his retirement, he was both a member, and later the Chief of USAF's Bird/wildlife Aircraft Strike Hazard (BASH) Team. Prior to joining the BASH Team, Gene spent six years with the Federal Aviation Administration (FAA) in Washington, DC developing standards and procedures for the implementation of effective wildlife hazard controls on or in the vicinity of airports. Positions held prior to his service with FAA included a District Supervisor with the United States Department of Agriculture's Wildlife Services program and a Wildlife Assistance Biologist with the United States Department of Interior Fish and Wildlife Service. Before his federal employment, Gene held the position of Research Associate with Louisiana State University (LSU) where he researched techniques of controlling blackbird damage to rice crops. Gene obtained his BS Degree from LSU in 1978. Mr. LeBoeuf is a charter member of and currently holds an Emeritus position on the Bird Strike Committee. Ron Merritt is the President of DeTect Inc., a small Florida company that specializes in remote sensing technologies for the detection of birds and bats in the atmosphere. He is a retired USAF officer who served as Chief of the USAF BASH Team from the late 1980’s through the mid 1990’s and was directly involved in the implementation of the USAF Avian Hazard Advisory System (AHAS) and the development and implementation of the use of small bird detection radar systems for use on airports, military airfields, and bombing ranges. He is a qualified FAA biologist with experience across the United States at both military and civilian airports as well as with airports in Africa, Europe, and the Middle East. He is also an experienced accident investigator and has completed both USAF and NTSB accident investigation training courses and has participated in a wide range of mishap investigations. Ron was a member of the initial Bird Strike Committee USA Steering committee in 1989. Dr. Russell P. DeFusco, Lt Col, USAF (retired) is Vice President of BASH Incorporated. He is a 1981 graduate of the United States Air Force Academy with a Bachelor’s Degree in Biology and a PhD in Environmental, Population, and Organismic Biology from the University of Colorado, Boulder. Dr. DeFusco is former Chief of the USAF Bird Aircraft Strike Hazard (BASH) Team. He has been the principle investigator on the United States Bird Avoidance Model (BAM) and has been involved in development of bird detection and forecasting systems using Geographic Information Systems, satellite imagery, radars, and other technologies. He has developed hundreds of operational BASH Plans for USAF, Air National Guard, and Air Force Reserve units, as well as other federal agencies including the Army, Navy, Marine Corps, NASA, and foreign governments. He has also worked with the FAA in developing policy guidelines as well as wildlife hazard assessments, management plans, site visits, and airport wildlife hazard management training for civil airports, and currently provides consulting services to overseas agencies and those in North America on all aspects of wildlife hazard management and operational planning. Richard Dolbeer (PhD, Colorado State University) was a scientist with the U.S. Department of Agriculture from 1972-2008 where he led various research projects to resolve conflicts between humans and wildlife in North America, Africa, and Asia. He has published over 220 scientific papers, manuals, and book chapters. Richard was Chairman of Bird Strike Committee-USA from 1987-2008 and is a recipient of the Federal Aviation Administration’s “Excellence in Aviation Research” award. Richard currently manages his 58-acre farm “Bluebird Haven” in northern Ohio and works as a science adviser to the U.S. Department of Agriculture. He has 2 children and 6 grandchildren. As the Manager of the Metropolitan Airports Commission’s Airside Operations Department at the Minneapolis-St. Paul International Airport (MSP), John is responsible for a variety of MSP’s operational programs including Wildlife Hazards Management, Runway Safety, Self-inspection, Winter Operations and Airport Certification. John has been with the Operations Department for the past twenty-eight years and has developed and instructed numerous airport training courses including AAAE’s Airport Wildlife Techniques, Manager’s and Trainer’s Courses for both national and international airport and wildlife management professionals. John has a Bachelor’s degree in Psychology from Winona State University and a Masters degree in Business Administration from the University of St. Thomas. He is a member of the Association for Training Development, The Wildlife Society and is a Certified Member of the American Association of Airport Executives (AAAE). John has served on numerous committees and review panels. In 2011, John was awarded the FAA Great Lakes Region’s Partner Award for his work with airports and wildlife management training. Michael Stephens has over 40 years of aviation experience. He currently serves as the Director of Operations and Public Safety for the Dane County Regional Airport (DCRA) in Madison Wisconsin. Michael’s responsibilities include daily compliance with 14 CFR Part 139, Certification of Airports and 49 CFR Part 1542 Airport Security. Prior to joining DCRA, Michael served as an FAA Airport Certification Safety Inspector (ACSI) in the Great Lakes Region. While in the FAA, a major responsibility was to approve Wildlife Hazard Assessments and Wildlife Hazard Management Plans for the 93 Certificated Airports. Michael also served on the Bridstrike USA Steering Committee from 2013-2015, representing the ACSIs’ in all of the 9 Regions. Michael Served in the U.S. Air Force as an Air Traffic Controller, and held positions at large, medium, small, and non-hub airports. He was Airport Operations Specialist at the Nashville International Airport; Assistant Airport Manager at the Tri-Cities Airport (in Tennessee); Airport Operations Duty Manager and Associate Airport Security Coordinator at the Washington Dulles International Airport, and Director of Operations and Maintenance at the Central Wisconsin Airport. Michael has worked for national consulting firms providing assistance to clients in airport operations, safety and security; an aircraft dispatcher and crew scheduling supervisor for a major regional airline, and senior airports for Aircraft Owners and Pilots Association (AOPA). Michael holds an aircraft dispatch certificate and has a Bachelor of Science degree in Aerospace Administration from Middle Tennessee State University. Amy Anderson is a National Wildlife Biologist for Federal Aviation Administration's (FAA) Airports Division. She is based at FAA Headquarters in Washington, D.C.
Amy writes and interprets national policy and guidance associated with reducing wildlife hazards to aircraft. She also creates training programs for FAA regional personnel and works with airports conducting Wildlife Hazard Assessments and Wildlife Hazard Management Plans. In addition to national guidance, Amy also works with international industry groups and civil aviation authorities to provide airport wildlife hazard expertise and guidance to airports at symposiums and workshops around the world. A few of the countries she has worked with are India, Ghana, Colombia, Ecuador and Panama. Amy has served as an FAA liaison for the Comité Regional de Centro América, el Caribe y Sudamérica de Prevención del Peligro Aviario y Fauna for the past 7 years. Prior to the FAA, Amy worked for 10 years as an environmental scientist at a private consulting firm in Florida. She graduated with a Bachelor of Science from Coastal Carolina University in South Carolina. She currently lives in Maryland with her husband and two dogs. After graduating from the U of MN, with a BS in Wildlife Ecology and studying black bears and wolves in NE Minnesota, Mr. Osmek spent over twenty years conducting research on marine mammals and seabirds in Antarctica and the Pacific NW before working at airports with the USDA Wildlife Services. Since 2000, Mr. Osmek has been responsible for implementing the Wildlife Hazard Management Plan at STIA. Mr. Osmek is a Certified Wildlife Biologist (CWB) and a Qualified Airport Wildlife Biologist (QAWB).